Are you dreaming of a reliable recall but you've tried everything and nothing is working? Gosia has a solution for you! During this webinar she will show you how to train a quick recall. Get prepared for tips, guidelines, and instructional videos. Gosia is a polish dog trainer and behaviorist. 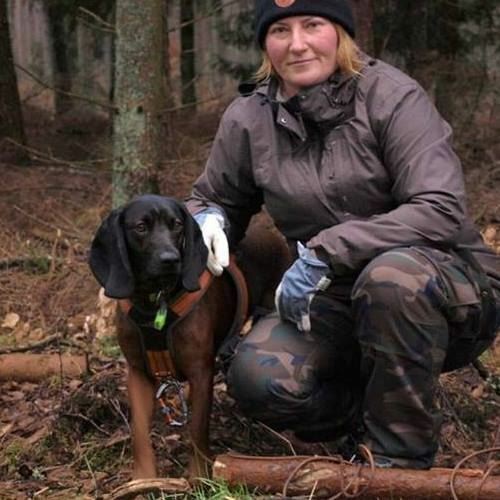 She trains dogs for man-trailing and scent detection but also works with fearful and aggressive dogs. She thinks it is very important to take care of their emotions and uses force-free training methods. Gosia has also taught her two guinea pigs many tricks but her love will always be for her three Bavarian Mountain Hounds. She uses her hounds to search for missing persons. All of her hounds are from the working line so training recall and obedience is extremely important for the safety of her and her dogs.